Want to get permanent residency in Canada, but disappointed with your low CRS score? Well, you mustn’t loose the hope, as there are ways through which you can still make your way to the maple leaf country. Immigration Refugee and Citizenship Canada (IRCC) have designed various immigration programs to help immigrants come to Canada. If you are not getting the response from express entry, there are other ways to try out. Let’s take a look as to what are the ways you can get PR in Canada apart from express entry. Alberta Immigrant Nominee Program (AINP), etc. Certain Provincial Nominee Programs also have Express Entry Stream, which is linked with the federal express entry system of Canada. The provinces can also select a skilled immigrant from Express Entry pool of candidates as well, if found suitable for their province. Quebec is the major province of Canada that has its own immigration program called Quebec Skilled Worker Program (QSWP). You can apply in QSWP through Mon Projet Quebec online system. If you are selected in QSWP, you will get the Quebec Selection Certificate, based on which you can apply for permanent residency in Quebec, Canada to Immigration Refugee and Citizenship Canada (IRCC). Canadian work permit allows you to live and work in Canada on temporary basis for up to 4 years. However, you also have option to convert your Canadian work permit to the permanent residency under certain conditions. However, you first require the obtaining the employment offer from Canada to apply for Canadian work permit. Your Canadian employer also needs to get the LMIA (Labour Market Impact Assessment) approval from Canada, for the job offer being offered to you. Note: This page is for information purpose only and Visas Avenue does not deal in work permit. Want assistance to apply for alternate immigration program of Canada? 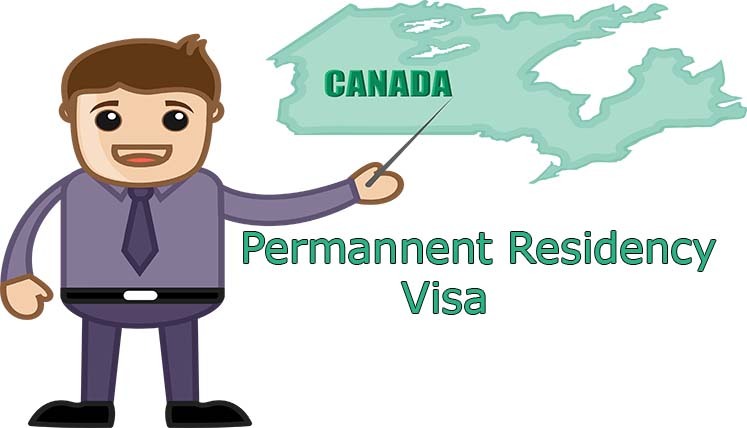 If you want key assistance to apply for alternate immigration programs of Canada obtain Canadian permanent residency, you can get in touch with Visas Avenue Immigration. It’s the leading Visa and immigration consultancy firm in India with dedicated offices in Delhi, Bangalore, and Hyderabad with a key new branch to open soon in Mumbai city. You may talk to the experts at Visas Avenue on below contact nos. Visas Avenue immigration specialists are also available on Skype Chat id- visas.avenue or visas.avenue1. If you wish to put in writing your immigration queries to Visas Avenue expert, mail the same to info@visasavenue.com.